American Express has long been one of the biggest names in travel. The company is the world’s largest issuer of travelers’ checks, operates a robust travel division focused primarily on business travel, and publishes Travel + Leisure, among other travel-related publications. 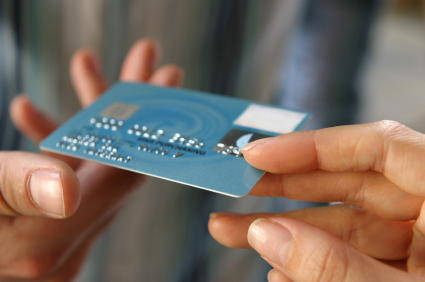 Its credit and charge cards are linked through its own cards to the Membership Rewards program, which in turn is affiliated with scores of hotel and airline schemes. And its co-branded cards are linked directly to the loyalty programs of such major travel providers as Delta, Starwood, and Hilton. But according to a news release distributed last week to announce its preliminary fourth-quarter operating results, American Express plans to scale back its activities in the travel space, likely in response to the continuing evolution of travel booking from offline (where AmEx’s travel-advisory services have a toehold) to online (where AmEx is hard pressed to compete with the likes of Expedia and Priceline). To account for the severance payments due to the fired workers, AmEx will take a $400 million charge against 4th-quarter earnings. AmEx took an additional charge, $153 million, for costs arising from “cardmember reimbursements for various types of transactions dating back several years.” The unspecified reimbursements are for a range of violations that regulators, including the Consumer Financial Protection Bureau, charged AmEx of committing between 2003 and 2012. They included, according to a New York Times article at the time, misleading promotions, age discrimination in the company’s marketing, and false promises of improving cardholders’ credit scores. A third charge, of $342 million, is for “enhancements to the process that estimates future redemptions of Membership Rewards points by U.S. cardmembers.” My best guess is that that’s corporatespeak for “our accountants underestimated how many points cardholders would redeem.” If that’s right, it was one horrendous underestimation, especially for a company with such a long and deep history of involvement with loyalty programs. In spite of the charges, which total around $895 million, AmEx still managed a 4th-quarter profit of $637 million. Nice! They must be in the right business.